As promised, this summer I'm going to show you how I preserve everything I preserve. There has been a lot going on around here, so get ready for a few preserving posts in quick succession. And, as always, if you want to share about how you preserve whatever I'm talking about- feel free to chime in in the comments section. If there are better ways of doing things, I want to know about them. I rarely freeze asparagus. It's because we eat it practically before it's harvested. We love it so much. There have been occasions when we're headed out the door for a weekend and won't be home to eat it, so I blanch it quick and throw it in the freezer. It's very easy to do. This method works well if you're wanting to add asparagus to dishes like quiche and strata. Cooking it up the same way as fresh will not give you the same result. Set a pot of water to boil. 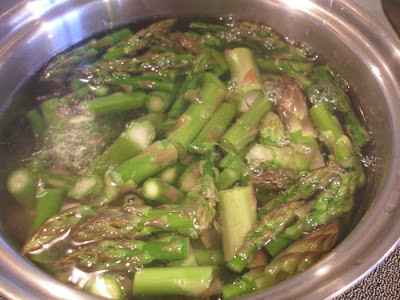 Rinse the asparagus. If you didn't pick it fresh, you will want to snap off the end of the base where it can sometimes get tough (there is no need to do this if you just picked it). 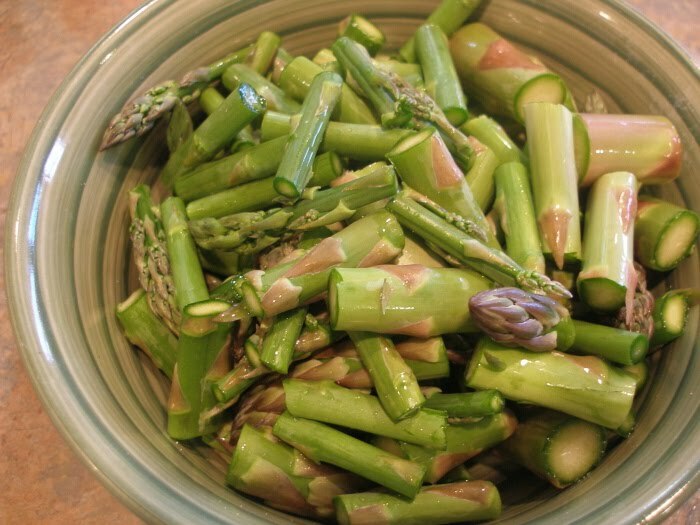 Cut the asparagus into bite size pieces. When the water is at a rolling boil, toss in the asparagus. 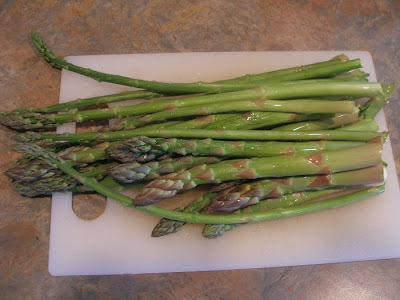 For small to medium thickness spears, let in the boiling water for two minutes. For thick spears, three minutes. 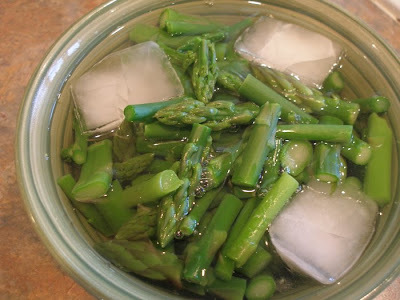 Remove from the water with a slotted spoon and drop them into a bowl of cold water, adding in a few ice cubes to stop them from cooking further. Let sit for 3-4 minutes. 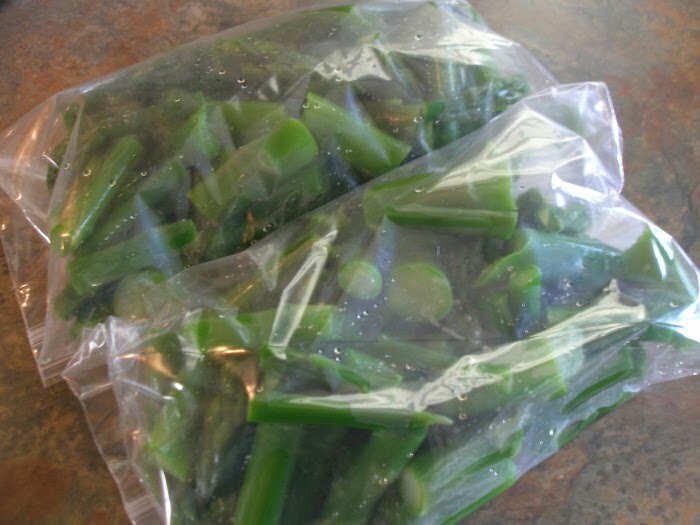 Drain well, store in plastic bags and freeze.